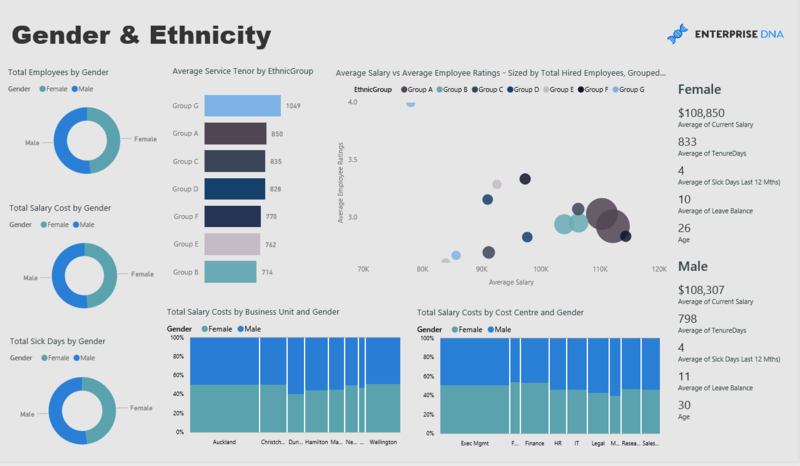 Gain a full overview of all your employee metrics and movements in real time. Human capital strategy relies on advanced analysis for effective decision making. 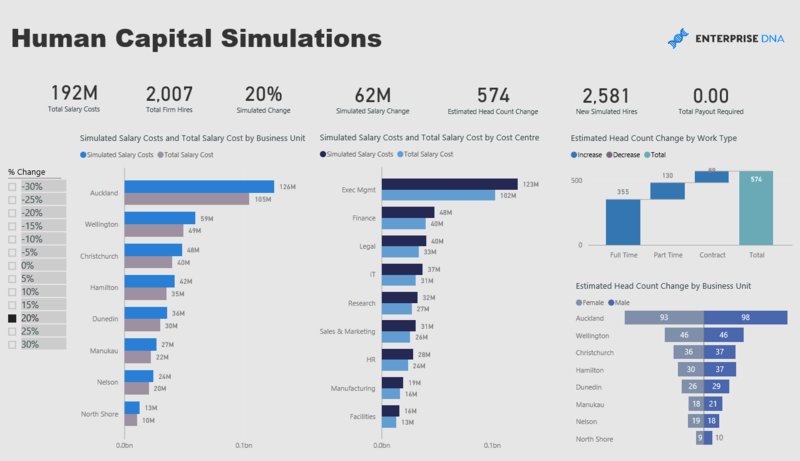 Not only do you need to run analysis on historical information but also simulate future changes, and the flow on impacts these may have on organisational profitability or well-being. As a firm grows and requires more personal, or downsizes and has to manage a reduction of head count, strategic people decisions effect everyone who works in that business. Use up to date information and analytics to manage your people strategy effectively. 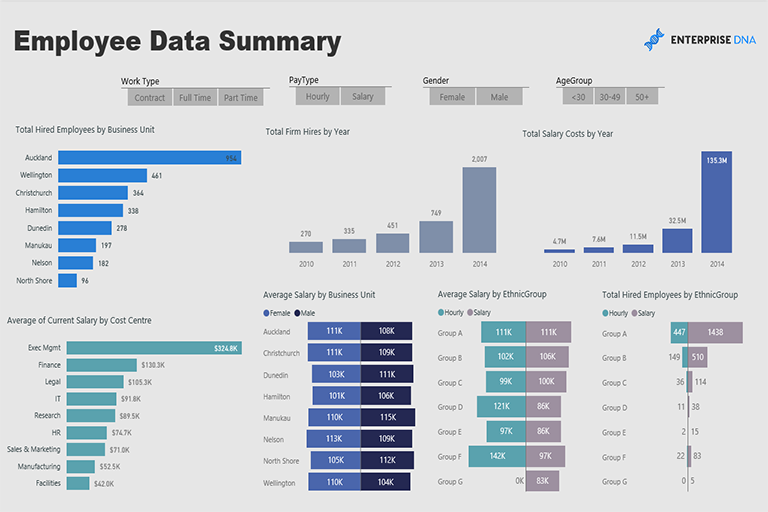 Employee Summary - Dive into all key metrics across regions or business functions. Gather a pulse of what is happening across a vast organisation or drill into key statistics that need to be reported up the chain. Business Units & Cost Centres - Drill into salary details across a variety of common key business filters. Know which type of employee contracts dominate the workforce, average employees resigning each year, leave analysis and more. Gender & Ethnicity - Have clear visibility over a very prevalent topic currently. Not only know on hand these key ratios but also monitor and stay on top of them in an ever changing work environment. Enterprise DNA - We empower organisations of all sizes to make sense of their data, gain deeper insights, and make better decisions in a connected real-time world.